Ernst Benz is immediately recognized for its impressively sized watch cases. The daring watch brand is also noted for its creative designs that draw upon vintage inspiration, pumped up with bold and dramatic flourishes. 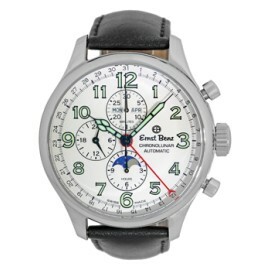 The watch brand is also well-known for its partnership with the fashion designer John Varvatos. TrueFacet is proud to partner with Ernst Benz to deliver to you brand-certified pre-owned watches, complete with the manufacturer’s warranty. Ernst Benz is immediately recognized for its impressively sized watch cases. The daring watch brand is also recognized for its creative designs that draw upon vintage inspiration, pumped up with bold and dramatic flourishes. 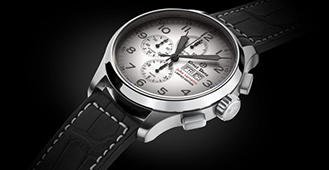 The watch brand is also well-known for its partnership with the fashion designer John Varvatos. TrueFacet is proud to partner with Ernst Benz to deliver to you brand-certified pre-owned watches, complete with the manufacturer’s warranty. The inspiration for the ChronoDiver comes from one of Mr. Benz’s original diving watch prototypes from the 1980s. Its design remains true to its function as an instrument for divers. It stays true to its main purpose, which is to provide precision and legibility underwater. 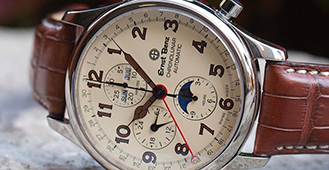 The ChronoSport owes its classic Great Circle design to that of 1940s aviation timepieces. Characterized by the basic lines that value legibility as its primary feature, the massive dial and oversized hands guarantee excellent readability under all circumstances and in all lighting conditions. The ChronoLunar combines two fascinating and captivating complications: an automatic chronograph and a complete calendar system. 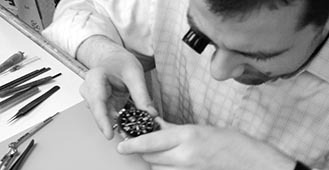 Embodying the spirit of fine watchmaking, it is an expression of tradition that evolved in harmony with the vision of Ernst Benz. The ChronoScope honors the tradition of the authentic aviation chronographs and famous wrist timers worn by pilots in the 1940s. A highly functional timekeeper with a stunning visual experience, it features the automatic Valjoux 7750 calibre, considered to be one of the world’s finest self-winding chronograph movements. Oversized Watches: How Big is Too Big?